Beautiful bag and wash cloth, love that dragon/dinosaur! Dragon was the old/ancient name for dinosaur. It is a dragon just not a Hollywood dragon. And it is gorgeous! Well done. Cute set. Love the bag. This set is absolute very nice and cute and sweet. 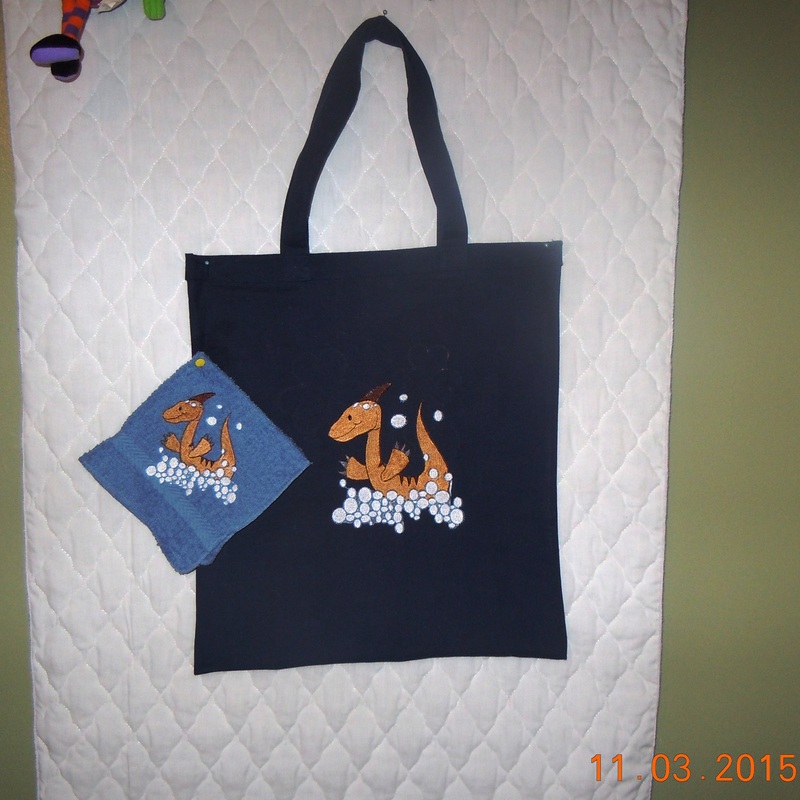 love the bubble dino on the bag and wash cloth.Very great present for sombody. Hi pldc, just love the bubbled dino. may I ask were you found the embroidery from. It is soooooooo cute. Thankyou for sharing. And I have watered the flowers in our cute garden hehe. Regards Lorraine McNeill from Woodcroft in South Australia. That is such a cute design. Very nice on the dark tote.